Back again with a handful of miscellaneous favorites to share with you—really, a round-up of things I’m really enjoying as of late. Here we go! 1. Cucumber Salad. 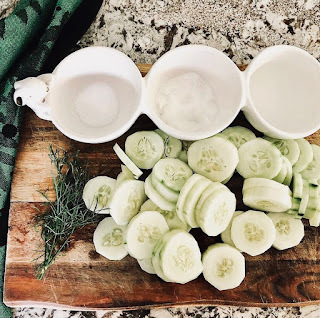 We have cucumbers growing in our garden left and right, and this summery cucumber salad is just so good and refreshing for a hot day. I love it as a side to any cookout, or also as an afternoon snack. Ingredients: 2 sliced cucumbers, 6 tablespoons vinegar, 1/2 tablespoon salt, 1 tablespoon sugar, bunch of dill, chopped. Mix all ingredients together and let sit for one hour before enjoying. This chilling documentary is about the mystery surrounding the 2009 car crash resulting from 36 year old Diane Schumer driving the wrong way on a New York parkway and colliding head on with another vehicle, killing 8 people. This one seeped into my subconscious and haunted me for a good while. We found it on this list if you’re looking for some good documentaries to choose from. 3. Rolled Ice Cream. Who knew such a thing existed? 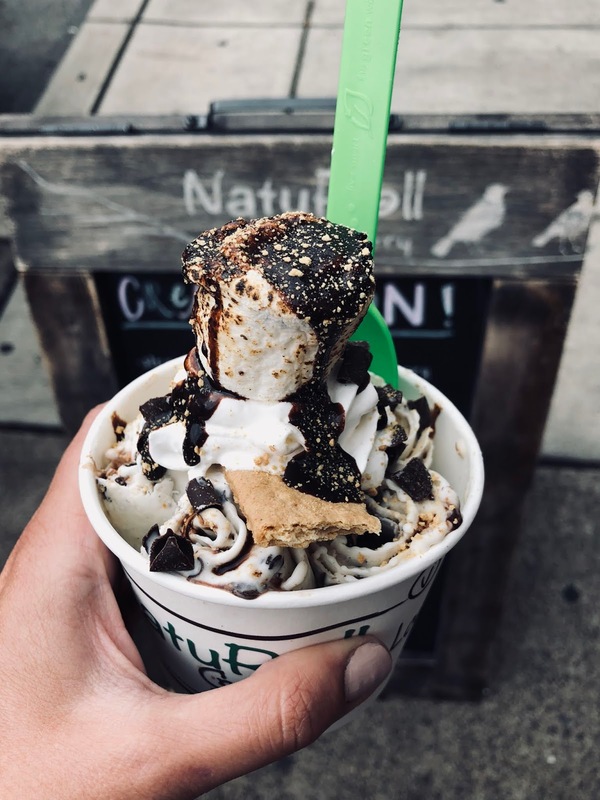 Turns out there are a handful of places in Pittsburgh and all across the country, and this is turning into quite the popular treat. I got the s’mores variety at Naturoll in Lawrenceville for any of you Pittsburgh locals. SO GOOD. 4. This pair of black distressed denim is marked down to $15 today after applying promo code 11640. I have this pair in other washes and love the fit. 5. 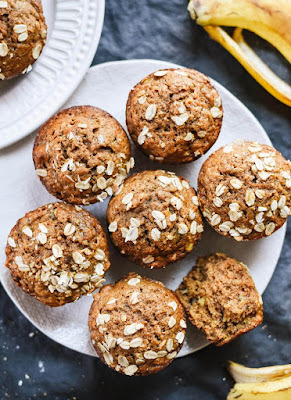 This muffin recipe might be a new favorite for breakfast for the boys. Sweetened with maple syrup, and full of good stuff like rolled oats, wheat flour, and bananas, it gets all of our seals of approval. Throw them in the freezer and microwave your serving to maximize freshness.